As a child of the ’80s, I can recall watching some of the best commercials like it was just yesterday. Remember this one? 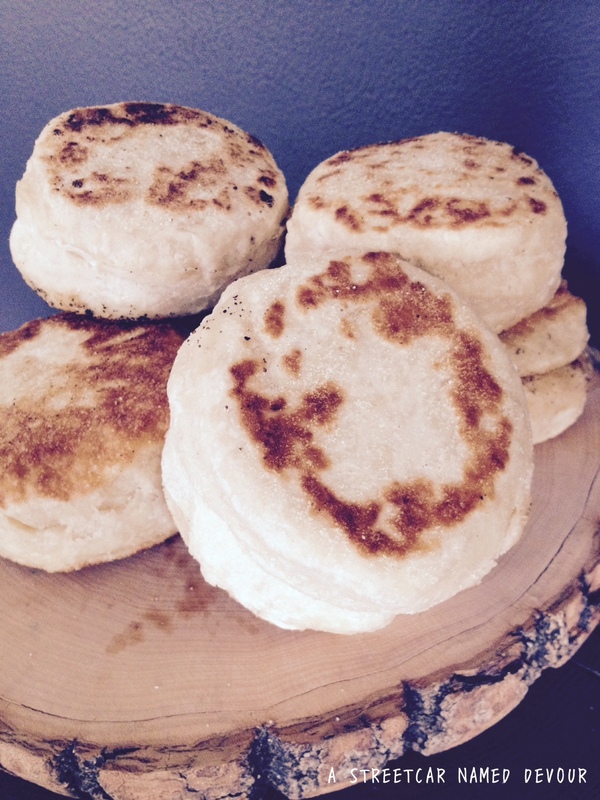 Thomas’ English Muffins were a breakfast mainstay when I was a kid. 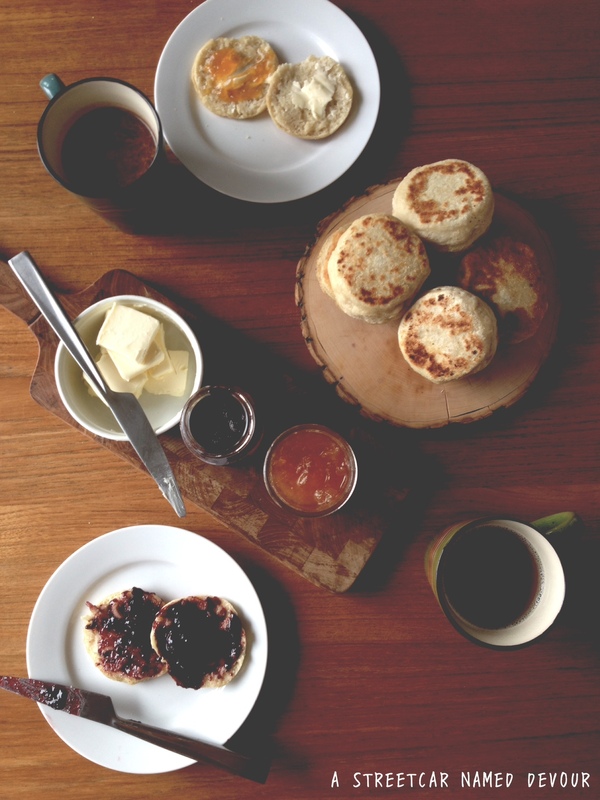 The “nooks and crannies” are key–they’re like little pools collecting all the butter and jam or whatever you put on the bread. I’m a breakfast person but I’m always on the go in the mornings, so it’s sometimes difficult to have a decent breakfast before I start my day. 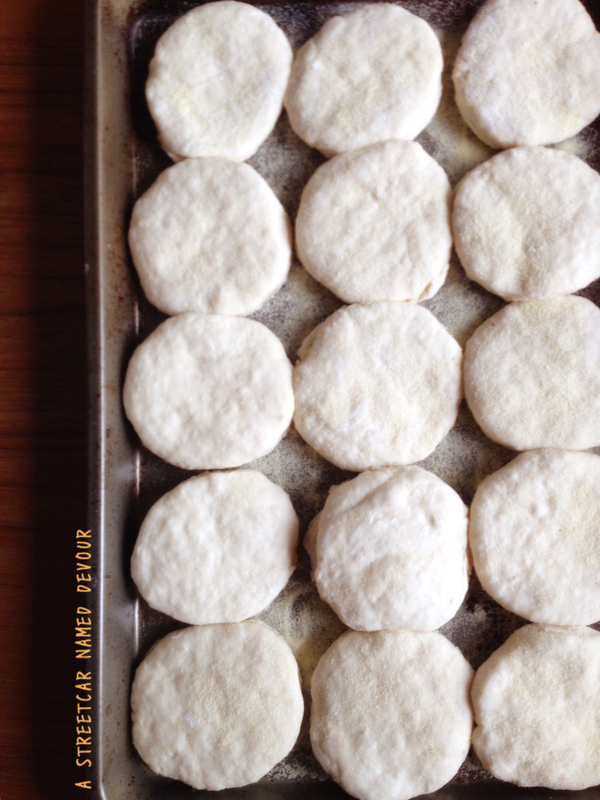 Making these homemade English muffins ahead of time is a great option when you’re on-the-go like me. And the best part is, you can top them with whatever butter, jam, or spread you like. 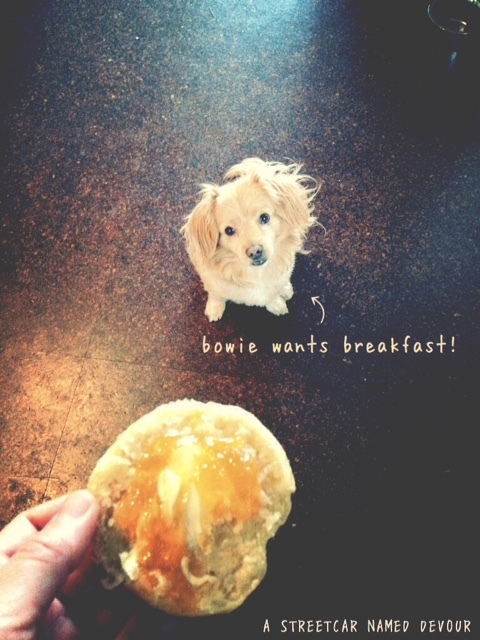 Or you can make your very own breakfast sandwiches. Endless options, really. In a medium-sized bowl, whisk together the flour, yeast and salt. Add water and yogurt, and mix into a soft dough. Knead the mixture for about 10 minutes, until smooth, adding more flour if it gets too sticky. Allow the dough to rest for 10 minutes. 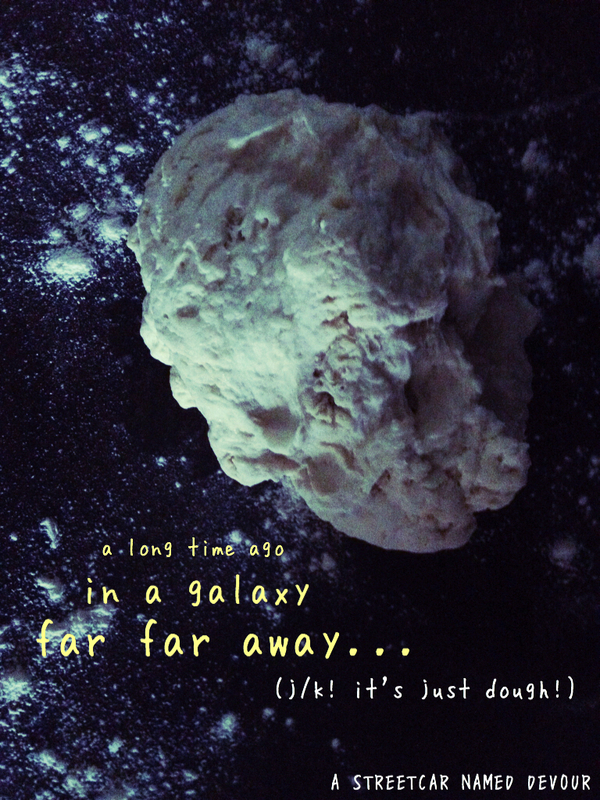 Roll out the dough to a thickness of about ¾ inch. Cut out 14 circles with a 3-inch round cutter (I used a Mason jar lid). Sprinkle a sheet tray with semolina. Cover the portioned muffins with a damp towel and allow the dough to rise in a warm place for about 2 hours, or until almost doubled in size. 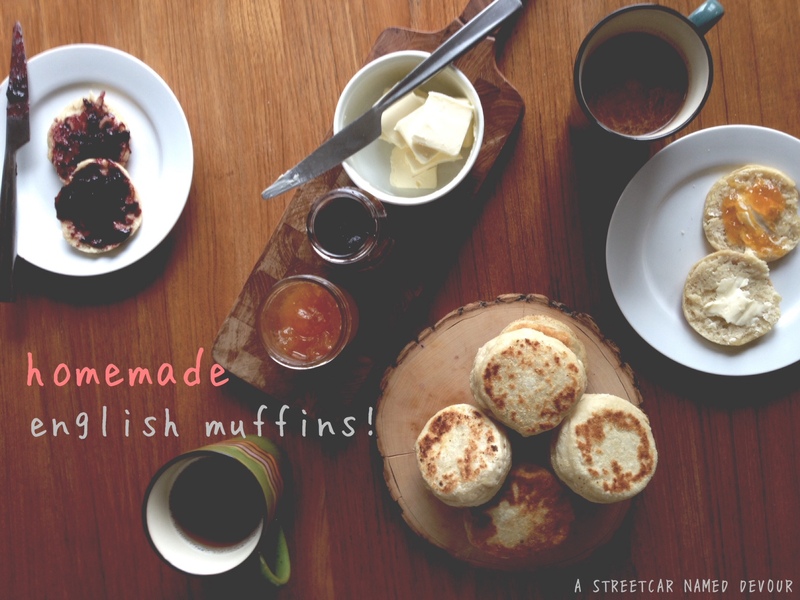 For sandwich-size muffins (like the ones pictured above) pair up the muffins and stick them together my pinching the side creases with the tips of your fingers to create a seam for one large muffin. Repeat this process for as many larger-size muffins you want to make. Heat a flat griddle pan to medium-high heat and brush with oil. Add the muffins and cook for 6 minutes, three minutes per side, till golden brown. Once both sides have been seared, transfer to a sheet tray and finish in the oven for about 3-6 minutes. 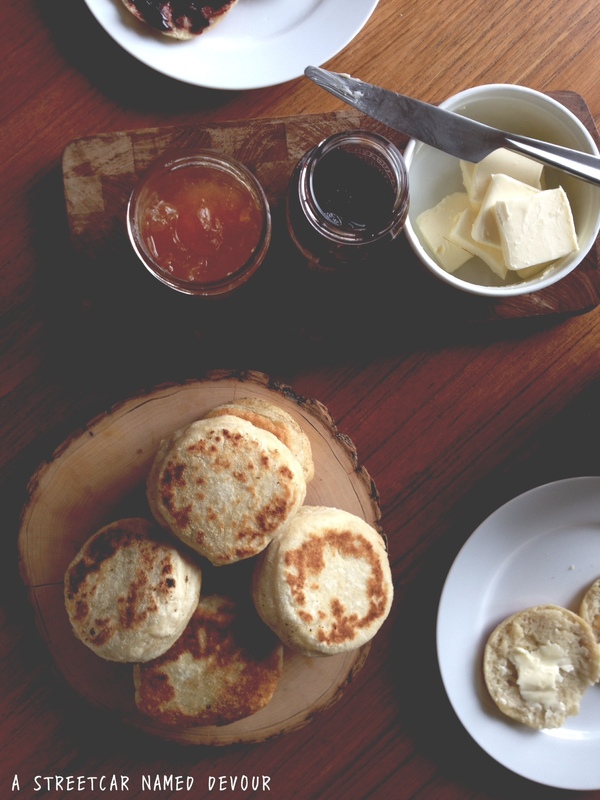 Serve with butter, jam and coffee.